When the military came looking for prospects for their Sub Compact Weapon program, Angstadt Arms came up with something special. Rich Angstadt told Guns.com about the SCW program to arm personal security details and their offering, the SCW-9, in the above video. 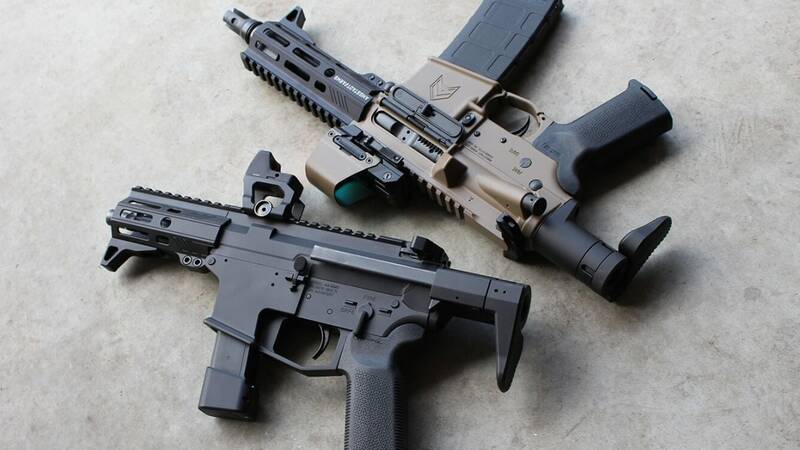 Angstadt was one of a baker’s dozen companies mentioned in a commercial-off-the-shelf award last June to supply a handful of their UDP-9 compact weapons to the military for review. The award was eventually restructured in September and whittled down to just six companies — with Angstadt still in the smaller pool to submit 15 examples each. The gun had to be ambidextrous, very compact — under 15-inches overall — and light. Fully automatic, the SCW-9 can let it rip at 1,100 rounds-per-minute and uses Glock double-stack 9mm mags. With the Army still mulling over the winner of a contract to supply as many as 1,000 guns, the North Carolina-based released the details of their submission last November and had the SCW-9 on tap for SHOT Show this month. While Angstadt awaits word from the Pentagon, they are selling a semi-auto of the SCW-9 as an SBR starting in 2Q 2019 and have plans to offer a pistol brace variant. Plus, the innovative stock it uses will be available separately.